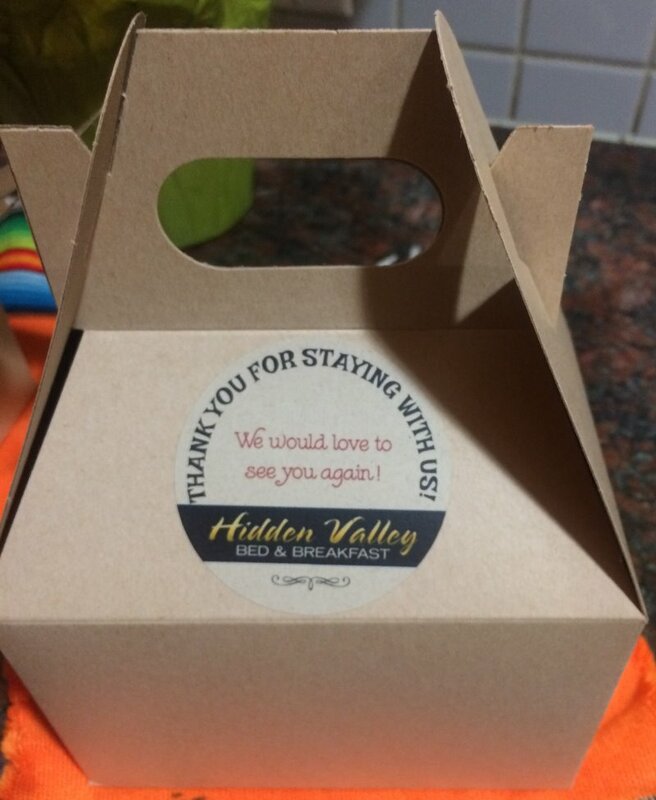 Exclusive To Hidden Valley Bed and Breakfast, we offer a take out breakfast. Anything we can do to make life easier and more convenient for our Guests at Hidden Valley Bed and Breakfast is of utmost importance to us. Quite often we have Guests who must leave at extremely early hours to either complete a long and arduous road trip or catch an early morning flight. That is why we provide them with our well received and very welcome Breakfast Boxes and Travel Cups. 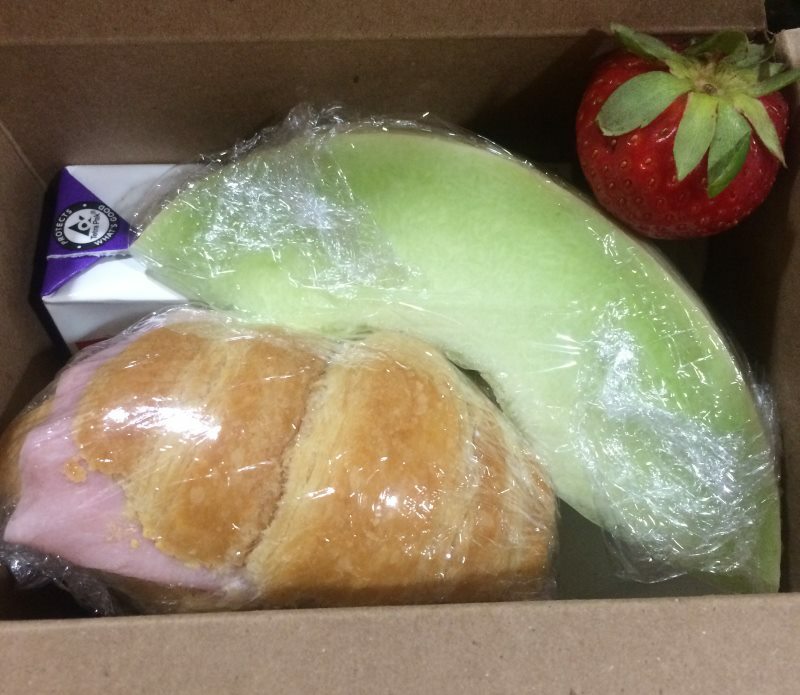 They can leave in the wee small hours armed with our Breakfast Box filled with a nutritious breakfast usually consisting of ham and egg breakfast croissants, fruit juice, a muffin and fresh fruit, provided with a breakfast napkin. We are conscious of dietary needs and cater to those as well, and everyone leaves with a Travel Cup filled with their favourite hot beverage; all they have to do is” Grab and Go”. We strive to be environmentally friendly, ensuring that our boxes are cardboard biodegradable, and we wrap everything in wax paper (for the purposes of the above image we have used plastic wrap so you can see what is included in our breakfast box). We strive to keep everyone happy, including Mother Nature! !